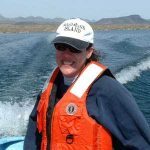 Dr. Marsh’s research deals broadly with aquatic ecology in the arid southwest, with emphasis on the community of imperiled native fishes of the region (the suite of indigenous taxa occupying a diversity of aquatic habitats in western United States and Mexico). Laboratory investigations supplement a strong field program examining basic life history characteristics and population and community biology. These pursuits go hand-in-hand with applied management in behalf of target species. Activities are strongly collaborative with academia, state and federal resource agencies, non-governmental organizations, and the private sector. Beverly has worked as a contractor for the Native Fish Lab since 2009 and became a full time employee August of 2014. Her love of the outdoors makes her office work easy to be passionate about. She is also the Treasurer of Marsh Education, and dedicated to get Sharing Tails back in Arizona schools. 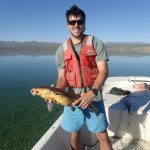 Brian is interested in quantitatively assessing the status and trends of ‘big river’ native fish stocks in the Colorado River. His approach uses standard statistical techniques but he also is developing and applying techniques that are unique to the type of data available and the difficulties associated with data for species that are rare and reintroduced. He also likes to get his feet wet occasionally and assists with monitoring programs throughout the Colorado River basin in Arizona and farther a field. Brian has worked with Dr. Marsh and the Native Fish Lab since 1998. 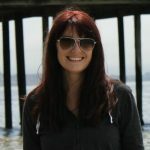 Ms. Pacey has been with the Native Fish Lab since 1998 and plays multiple roles within the organization. She developed and presents statewide the wildly successful “Sharing Tails” educational program that teaches kindergarten and early elementary school children about native Arizona fishes (see the link above and on our home page). She also is responsible for primary maintenance of the lower Colorado River native fishes PIT tag mark and recapture database and analyzes and interprets field data for reports and publications. When not too busy with other duties she assists with field and laboratory work, makes presentations to professional groups, attends meetings, and interacts with M&As myriad cooperators. Taylor joined the Marsh & Associates team in January of 2017 after a stint with the Bureau of Land Management in Safford, AZ. At M&A Taylor is the lead for a project assessing the population status and distribution of razorback sucker and bonytail downstream of Palo Verde Dam, and also assists in the monitoring of Lake Mohave and the Gila River difficult streams surveys. When not in the field, Taylor also constructs PIT scanners for use on various projects on the Lower Colorado River. 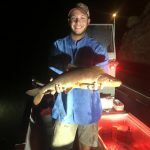 Jake joined the Marsh & Associates team in May of 2018 after finishing his master’s degree at FIT focusing his research on the life history and biology of bonefish. Jake is an avid angler, which set the foundation for his passion towards fisheries conservation. 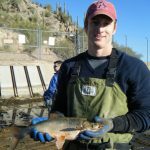 He assists in writing technical reports, website maintenance, and helps with the monitoring of native fishes in the Gila River Basin and Lake Mohave. Ben joined the Marsh and Associates team in spring of 2018. He assists with all types of field work including stream surveys for the Gila River Monitoring Project and PIT scanning efforts associated with Razorback Sucker and Bonytail in the Lower Colorado River system. If not in the field, his duties include building PIT scanning antennas, maintaining equipment and vehicles, and assisting with data entry and other office work as needed. As an avid nature lover, he is passionate about the aquatic world and enjoys any activity related to water and/or the biota found there. 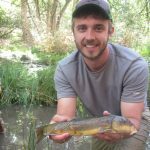 Being from Minnesota, he developed his aquatic interests at an early age and relishes the opportunity to assist in the fight for native southwestern fishes.